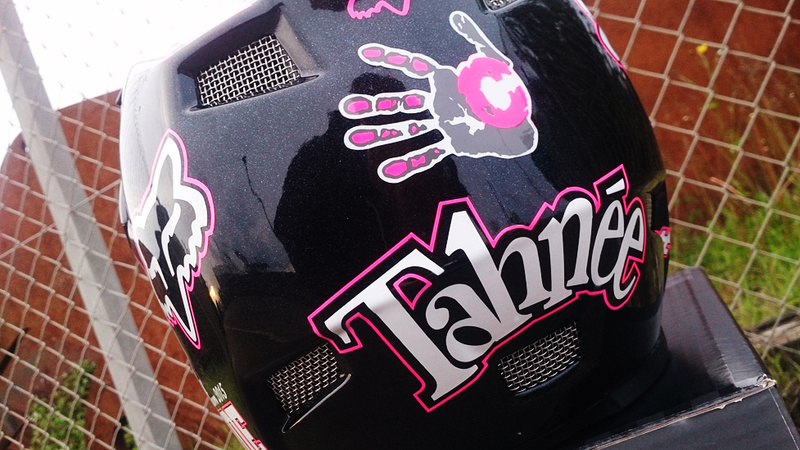 For the 2015 Fort William round of the Downhill Mountain Bike World Cup, Tahnée Seagrave was doing something pretty special in raising cash and awareness for breast cancer charity Coppafeel. 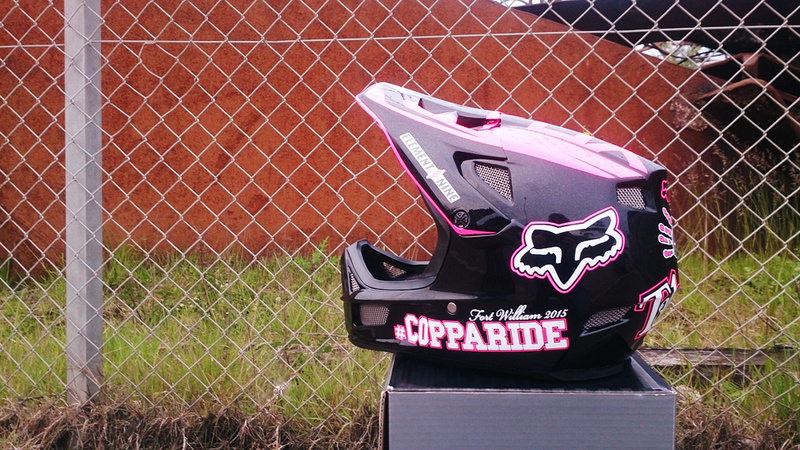 The FMD Racing rider threw a competition to win her race kit, including her Carbon DeVinci Wilson bike and custom painted helmet! 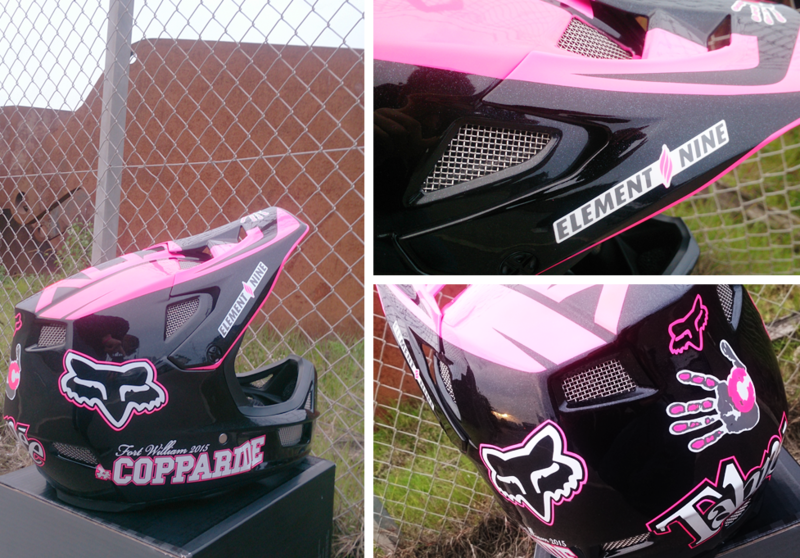 Fox Europe came to us with a good idea of how the helmet was to look based on an existing Fox design, with the #Copparide and Coppafeel logos placed, so we added the fluoro pink and sparklescent black at Tahnée’s request.